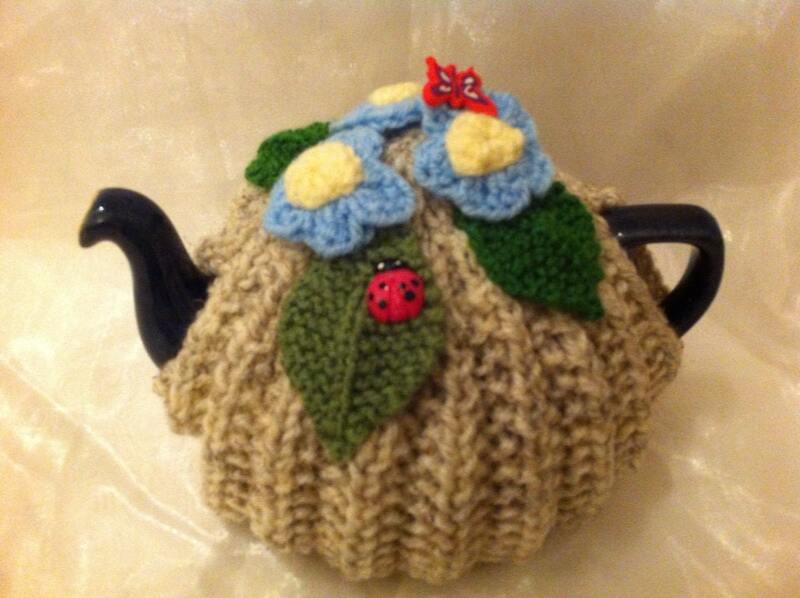 Pretty knitted Floral knitted teapot cosy. With bee, butterfly or bug decoration. 5 available in tan or purple with different coloured flowers. Let seller know which one you would like.